Concrete is widely used building material in the construction world. Concrete is made up of various ingredients, and of course all of them have different role. The properties of concrete generally rely on the mixing of concrete ingredients i.e. cement, coarse aggregates, fine aggregates (sand), and water. The whole world wishes their structure to be strong and durable and for that, they always design their structure according to the desired strength and service. Strength gives an overall indication of quality of concrete; as it is directly related to the lifelong performance of the concrete structure. The strength of the concrete shows the ability of the structure to withstand various loads (i.e. Dead Load, Live Load, Earthquake Load, Wind Load, etc..). The strength of the concrete can be measured with the different test that are conducted on it such as, Compressive strength, Tensile strength and Flexural strength. The ratio of the weight of water to the weight of cement is called Water/Cement ratio. It is the most important factor for gaining the strength of concrete. The lower w/c ratio leads the higher strength of concrete. Generally, the water/cement ratio of 0.45 to 0.60 is used. Too much water leads to segregation and voids in concrete. Water/Cement ratio is inversely proportional to the strength of concrete. As shown in the chart below when the w/c ratio is increased the strength of concrete gets decreased and when w/c ratio is decreased then the strength of concrete increases. Compaction of concrete increases the density of the concrete because it is the process in which air voids are removed from freshly placed concrete which makes the concrete compact and dense. The presence of air voids in concrete greatly reduces its strength .Approximately 5 % of air voids can reduce the strength by 30 to 40 %. As we can see in the above chart, even at the same water/cement ratio strength is different with different compaction accuracies. In the fully compacted concrete, strength is higher than the insufficiently compacted concrete. The quantity of cement greatly affects concrete strength. The higher cement content increases the tendency of shrinkage cracks when the concrete is getting cured and hardened. 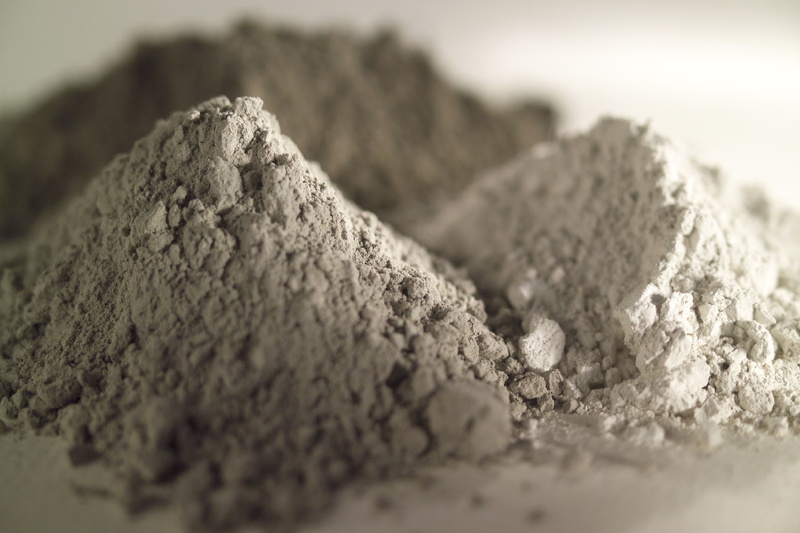 Types of cement also have a great impact on the properties of hardened concrete. According to IS 456 2000, the minimum cement content specified ranges from 300 to 360 kg per cubic meter of concrete for various exposure conditions and for various grades of concrete. Maximum cement content in concrete is also limited to 450 kg per cubic meter of concrete. The grade of cement – i.e. 33 grade, 43 grade, 53 grade will also affect the strength of concrete. The higher the grade, the higher strength particularly high early strength. The strength of concrete depends upon the strength of aggregates. 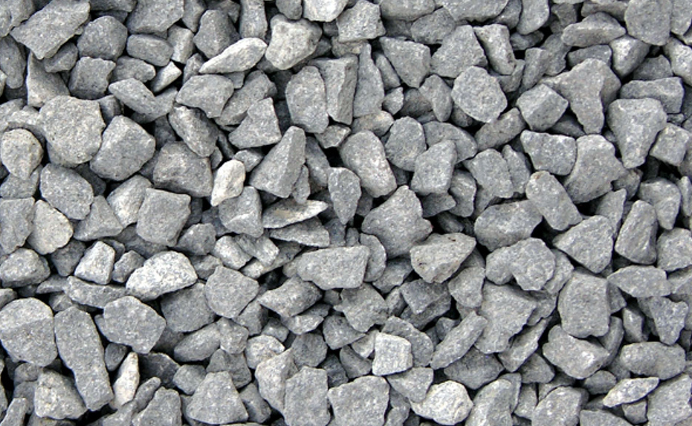 Low quality of aggregate reduces the strength of concrete. The quantity of aggregate also affects the properties of hardened concrete. At constant cement content, the higher amount of aggregate reduces the concrete strength. The shape and grading of aggregate play a major role as far as strength of concrete is concern. Quality of water plays a significant role in the setting and hardening process of concrete. Acidic, oily, silty, and seawater should not be used in concrete mix. Impurities of water give an adverse effect on the strength of concrete. Therefore,potable water is always used in concrete mix.Particularly the impure water may lead to corrosion, carbonation or acid attack, therefore, reduces the life of concrete. Curing of concrete is the most essential to prevent plastic shrinkage, temperature control, strength development and durability. 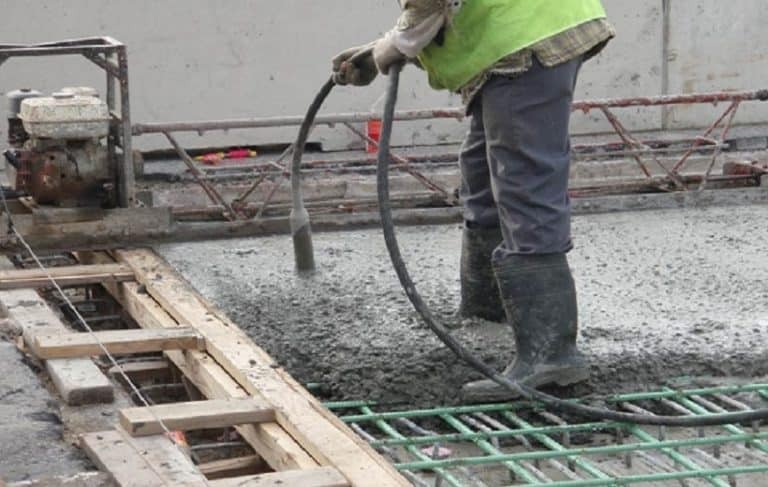 Curing provides the desired moisture and temperature at the depth and near the surface after placing and finishing of concrete for development of strength. In other words, curing provides sufficient water to concrete for completing the hydration process without interruption which is important for strength development. Commonly 7-day curing corresponds to 70 % of compressive strength. Curing period depends on the types of cement and the nature of work. Generally, it’s about 7 to 14 days for Ordinary Portland Cement. There are many methods of curing like Ponding and immersion, Spraying and fogging saturated wet coverings etc. Hence please remember, use as less water as possible during concrete mixing and use as more as possible after concreting. 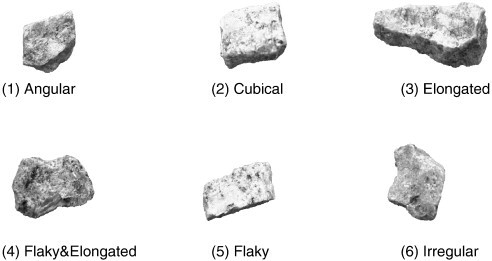 There are many shapes of aggregate like angular, cubical, elongated, elongated and flaky, flaky, irregular androunded. Angular aggregates are rough textured, and rounded aggregates are smooth textured. Thus, the rounded aggregates, create the problem of lack of bonding between cement paste and aggregate. Angular aggregates exhibit a better interlocking effect in concrete, but the angular aggregate contains a larger amount of voids. For this, you needed well-graded aggregate. The shape of aggregates becomes more important in case of high strength and high-performance concrete where very low w/c ratio is used. In such cases, cubical shape aggregates with uniform grading are required for better workability. Larger size aggregates give a lower strength because they have a lower surface area for development of gel bond which is responsible for strength. Larger size aggregate makes concrete heterogeneous. It will not distribute loading uniformly when stressed. Due to internal bleeding, the problem of development of the microcracks in concrete happens when larger size aggregates are used in concrete. Grading of aggregates determines the particle size distribution of aggregates. It’s the most important factor for concrete mix. There are three types of graded aggregate Gap Graded Aggregate, Poorly graded aggregate and Well-graded aggregate. Well-graded aggregate contains all size of particles of aggregate. So that, they have a less amount of voids. The use of well-graded aggregates gives higher strength to the concrete. Weather condition also affects the strength of concrete due to different reasons. In cold climate, exterior concrete is subjected to repeated freezing and thawing action due to the sudden change in weather. It produces deterioration in concrete. With the change in moisture content, materials expand and contract. It produced cracks in concrete. With the certain degree of temperature increase, the rate of hydration process increases in it which, it gains strength rapidly. Sudden temperature changes create a thermal gradient, which causes cracking and spalling of concrete. So that, the final strength of concrete is lower at the very high temperature. The strength of concrete increase with the increase in the rate of loading because at the high rates of loading, there is less time for creep. Creep produces permanent deformation in the structure at constant loading. So that, the failure occurs at limiting values of strain rather than the stress. In rapid loading, the load resistance is better than the slow loading. With increase in age of concrete, the degree of hydration would be more. Hydration process is the chemical reaction of water and cement. Hydration produces the gel which plays a significant role in the bonding of particles of the concrete ingredients. Therefore, the strength of concrete increases with its age. Normally, concrete strength gets doubled after 11 years provided there are no adverse factors. The knowledge about factors which affect the concrete strength is helpful in many ways particularly during designing the structure, choosing material for concrete, observing precaution for different weather conditions, choosing different methods for concreting, aiming better life of building structures, for low maintenance of building after construction, longer durability and better serviceability etc. Does Rebound Hammer Test Results give Exact Concrete Strength?